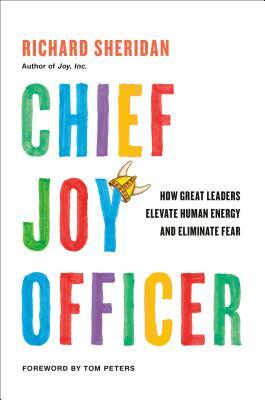 Chief Joy Officer: How Great Leaders Elevate Human Energy and Eliminate Fear (Hardcover) | novel. Richard Sheridan is CEO and cofounder of Menlo Innovations, a custom software design and development firm based in Ann Arbor, Michigan. The company has won the Alfred P. Sloan Award for Business Excellence in Workplace Flexibility for eleven straight years. His first book Joy, Inc.: How We Built a Workplace People Love, was published in 2013. Menlo and Rich have been featured on the cover of Inc., Entrepreneur, Forbes and New York magazines. He frequently speaks at business conferences and to major corporations such as Mercedes-Benz, Nike, and 3M. For more information visit www.menloinnovations.com.